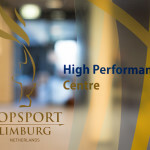 The TEIC (Topsport Expertise and Innovation Centre) High-Performance Center opened on February 6, 2015. A showcase of TEIC’s advanced training facilities for professional sports athletes was presented to the audience. 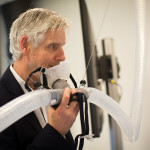 The centre features a highly accurate Omnical indirect calorimeter system from Maastricht Instruments. 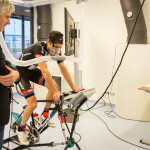 This system is optimally suited for performing sports performance measurements in cycling athletes. 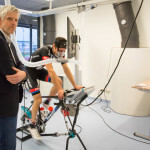 Professional cyclist Tom Dumoulin performed a test-run on the equipment in front of an audience of (inter)national professional sports athletes. 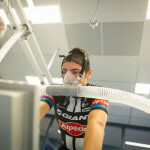 More background information in the article from the Topsport Limburg website (in dutch). 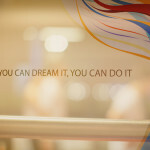 The main goal of every professional sports athlete is to achieve the best performance. 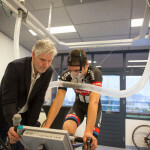 A goal which the Topsport Expertise and Innovatie Centrum (TEIC) fully supports. 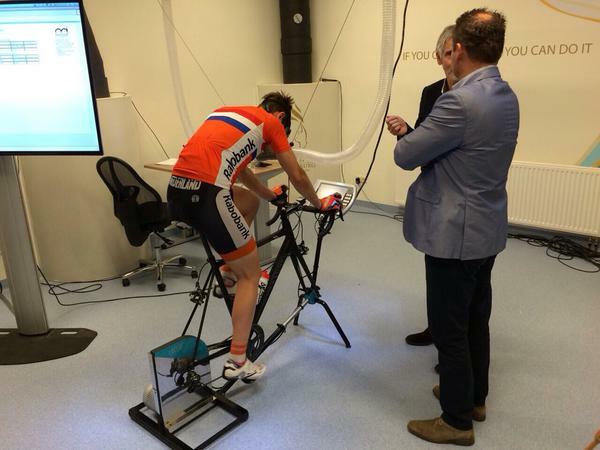 The aim of TEIC is, next to the prevention and treatment of injuries, to improve the athletes performance. 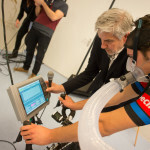 Sportphysiological, Sport-scientifical and Sport(para)medical expertise is essential to achieve the goal of the athlete.